An international developer and supplier of cloud-based automotive dealer software has expanded its operations with the opening of a new base in the Midlands. Titan Dealer Management Solutions (Titan DMS) is growing its presence in the UK after moving into an office at the University of Warwick Science Park’s Warwick Innovation Centre on Gallows Hill. The firm, which has its headquarters in Australia, has been fine tuning its innovative software systems for the UK market over the last 18 months and is planning to expand its team following the opening of the new office. Titan DMS develops, maintains and supports Dealer Management Systems for automotive dealerships around the world, including across Europe and Africa, and has expanded its UK client roster over the last six months. Managing director, Matthew Kroll, said the move will provide a launch-pad to significantly grow the company’s UK presence. “We’ve undergone a two year project fine-tuning our software for the UK market and the launch of the new office is the next stage of our growth plans,” said Matthew. Kevin Richards, who leads Titan DMS’ business development team, added: “The software is created for dealerships from scratch, which gives us a competitive advantage over a lot of providers who have just added to systems over time and have been reacting to changes in demands and problems. Titan DMS has joined a string of international companies with UK operations based at the University of Warwick Science Park. 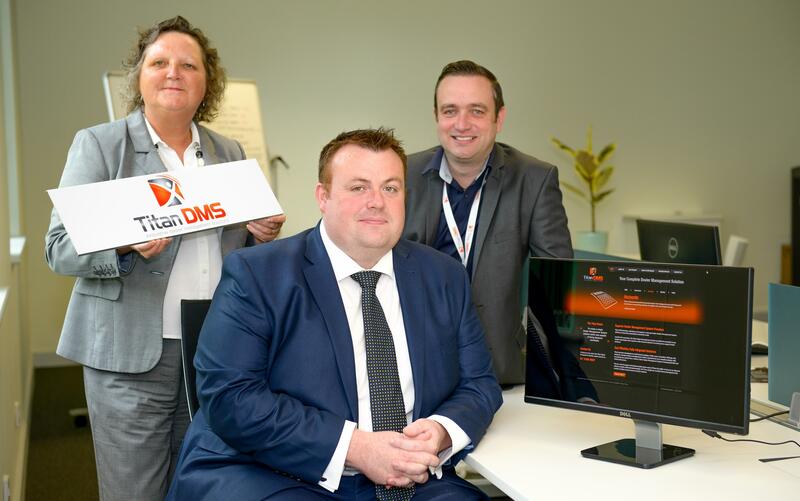 Warwick Innovation Centre manager, Karen Aston, said: “We’re accustomed to supporting international companies to accelerate growth across the UK, so we’re pleased Titan DMS have joined us at the centre.